We are located in the heart of Georgia and near one of the most beautiful lakes in the state. 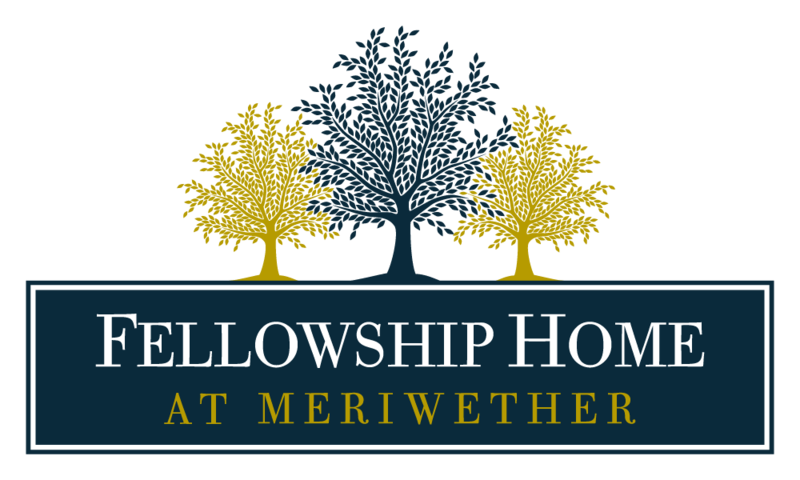 Fellowship Home at Meriwether is an assisted living community that combines southern style and tradition with that of senior hospitality. We are family-owned and operated since 1978 and take great pride in serving your family as an extension of our own. 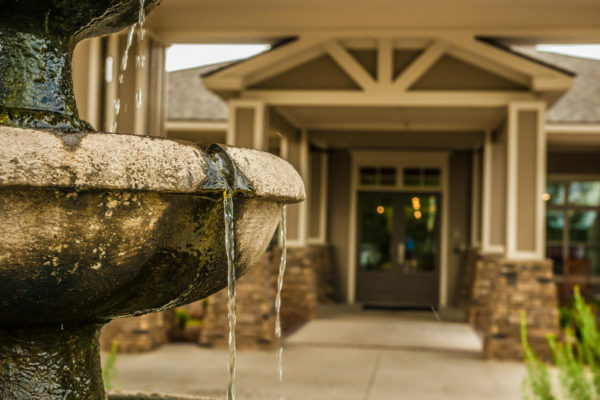 We are located in the Meriwether community off of Meriwether Road near Hwy. 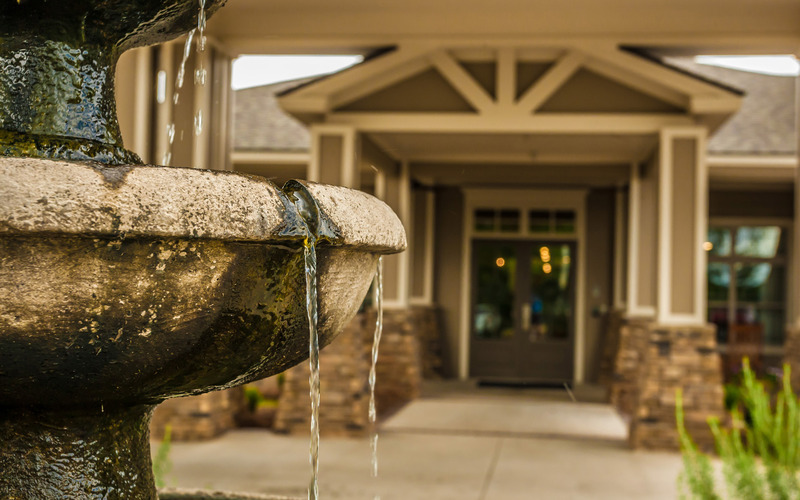 441, just a short distance from Lake Sinclair, shopping, and medical facilities. 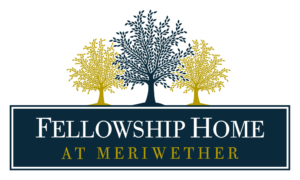 If you are interested in learning more about Fellowship Home at Meriwether, please call us at (478) 295-1005 or e-mail at [email protected]. We greatly appreciate your interest in us and hope to hear from your soon! 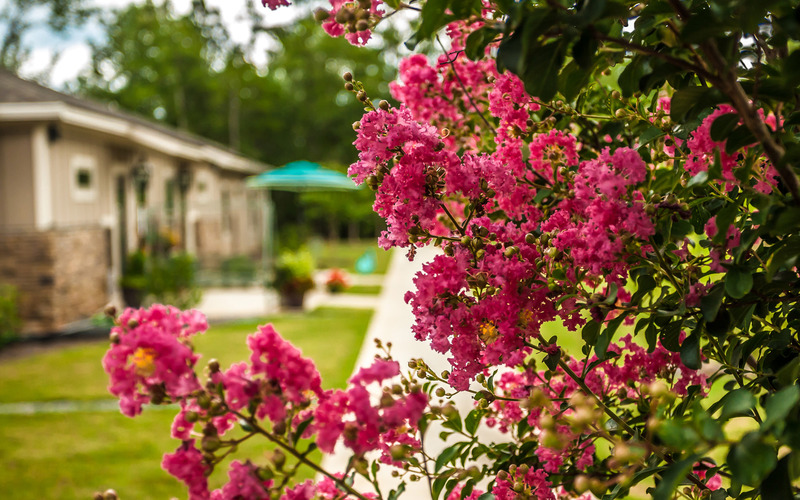 Grounds – The landscaped grounds, scenic walking paths and quiet porches are a source of enjoyment and relaxation for our residents. 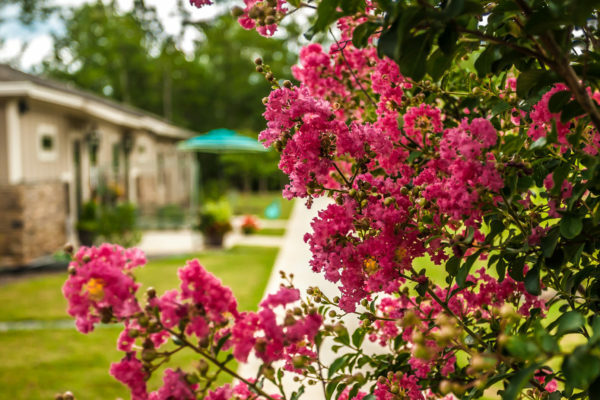 The raised gardening beds, chicken coup, and quaint courtyards provide great opportunities to try out your green thumb or simply enjoy the great outdoors. The grounds are a great place to have a private time of reflection or visit with family and friends. Dining – We serve three delicious and nutritious meals prepared daily and served restaurant-style. Our goal is to provide a dining experience you will look forward to every day. Special diets are available. Beauty and Barber Shop – Our beauty salon and barbershop is open weekly and residents may have their hair styled or cut as often as they like at their expense. Fitness & Wellness Center – Features fitness equipment with seniors in mind. This room is also used for wellness training, rehabilitation, and other activities. Library/Computer Room – We offer senior friendly computers with Internet access for web browsing and skyping family and friends. 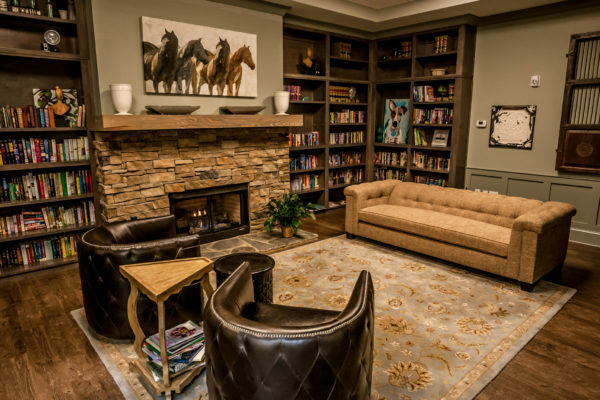 The library features a fireplace, comfortable seating, and built in shelves with large print books for perusing at your leisure. Theater Room – Enjoy “big screen” sights and sounds with our designated theater rooms. Whether it’s movie night, watching the news or a big game, it is available for your enjoyment. Housekeeping – Daily service includes clean washcloths and towels, along with general housekeeping (trash pick-up, bed making, bathroom cleaning, etc.). Scheduled service includes laundry services, fresh bed linens, and bath soaps – to name a few. Transportation – Courtesy transportation for shopping, eating out, banking, and other outside activities is scheduled weekly. Custom service is also available at the resident’s expense. 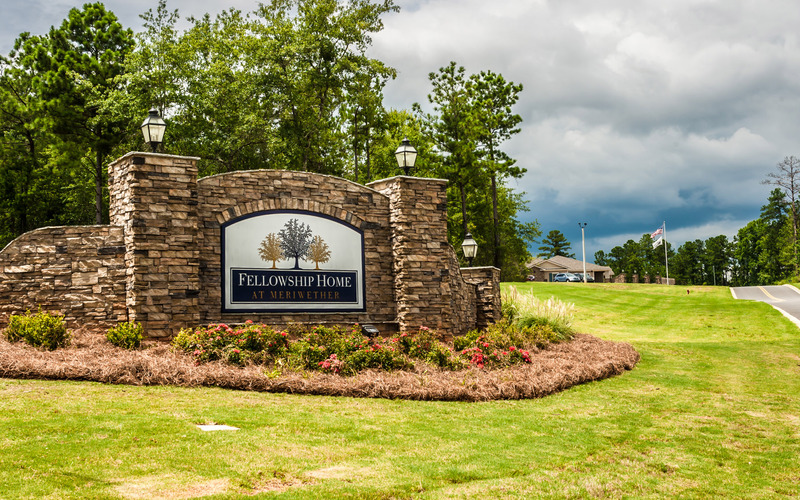 Devotionals and Worship Services – Regularly scheduled devotions and worship services are a source of enrichment to our residents. 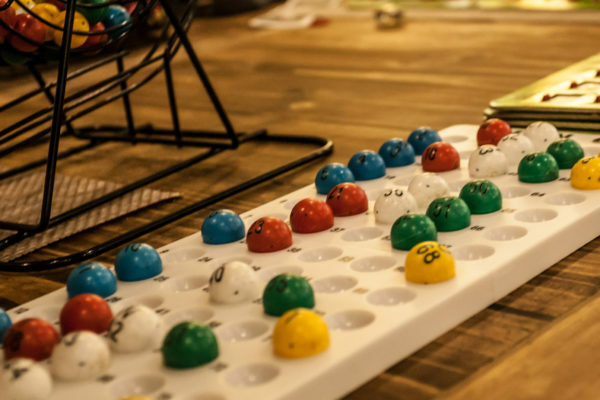 Activities – Our Activities Coordinator creates and coordinates a multitude of social and recreational activities to enable engagement in the community and to stimulate the mind, body, and spirit. Our personal care staff is available 24-hours a day, 7-days a week. We encourage our residents to be as independent as possible while providing a team that is always available to assist with any activity of daily living. ALC Licensure – We hold an Assisted Living Community (ALC) license that allows us to expand the care and services we provide. 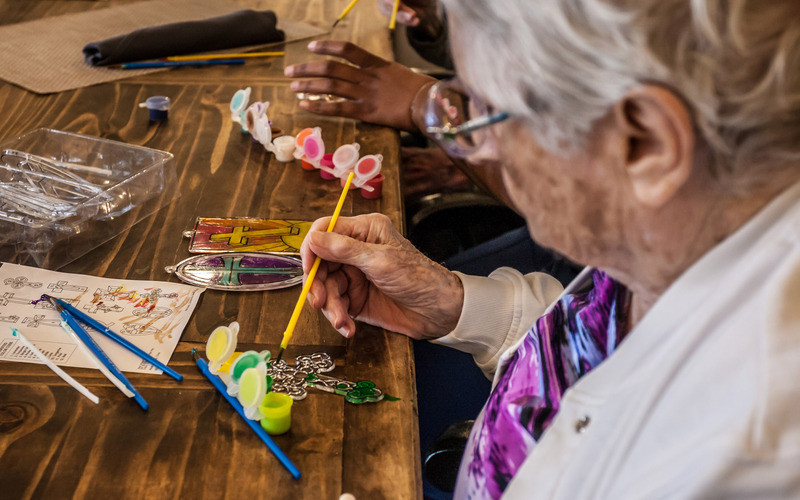 As the needs of our residents’ change, this license often allows them to remain on our campus, or “age in place,” without having to relocate to a skilled nursing facility. Direct Care Staff – We employ our own registered nurses (RNs), licensed practical nurses (LPNs), and personal care aides (PCAs). 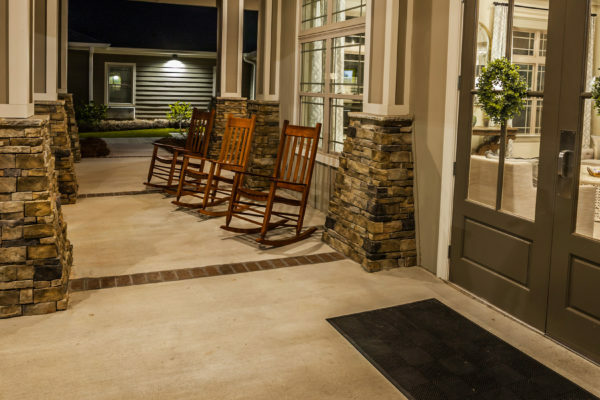 This provides our residents with the ultimate in security, safety, and convenience. Medication Management – Our licensed nurses and certified medication aides (CMAs) can supervise or fully administer your medications at the prescribed times and doses using the latest in medication administration technology. Nurse Call System – If you need anything at any time, just use the designated call button in your room and we’ll respond to your request promptly. 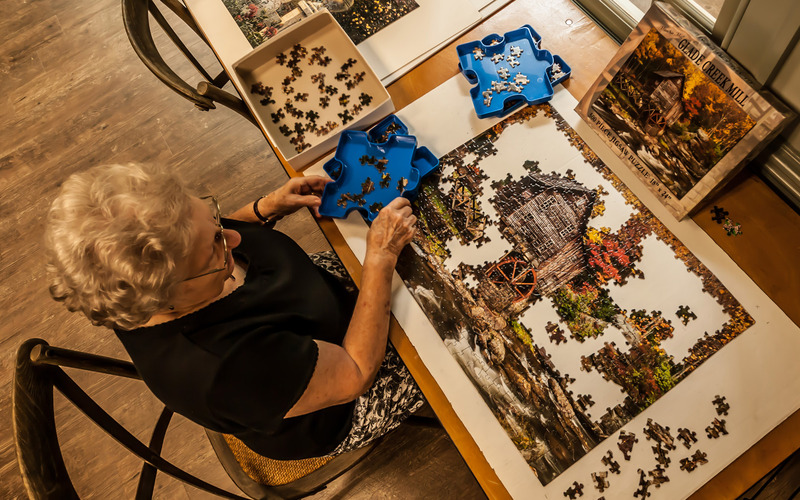 Memory Care – We offer a dedicated living area specifically designed to make life safer and easier for those living with dementia-related memory impairment. Physical Therapy/Home Health – We make arrangements for physical therapists or nurses from a local home health agency to come see you for virtually any specific skilled need. Scheduling and Appointments – We provide the service of keeping records of medical appointments, coordinating transportation, and documenting physician’s orders. Additional Personal Care Services (as needed) – Daily assistance is available in the areas of bathing, dressing, grooming, toileting, mobility, eating, transportation, emotional support, and more. 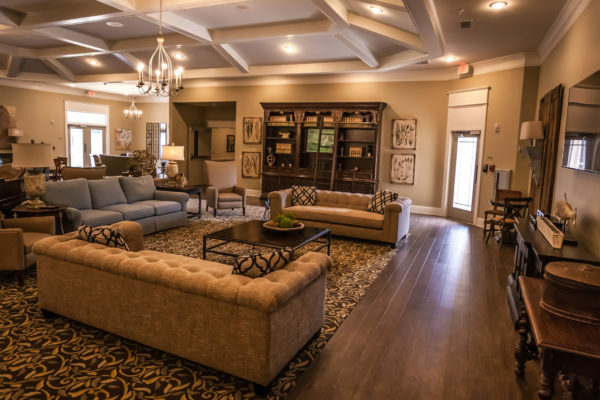 The assisted living area is designed for those seeking an autonomous and convenient way of life in a safe and comfortable setting. Individuals residing here desire the amenity-rich environment while benefiting from our wide array of personal care services. 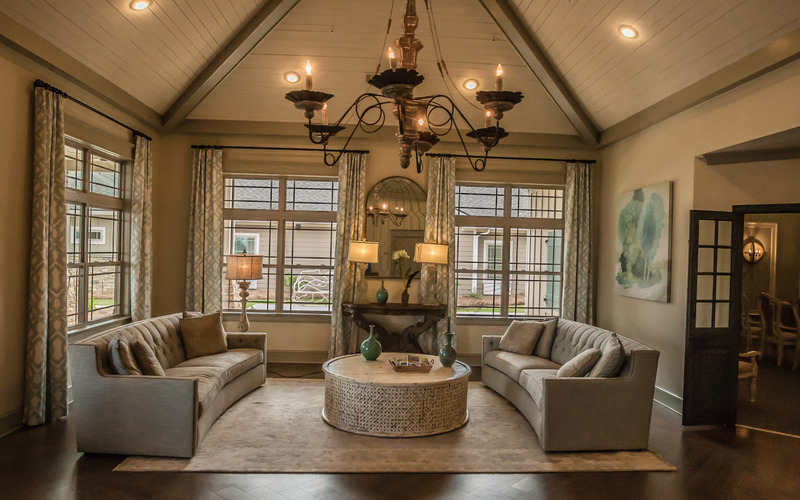 We offer a choice of floor plans, all with private bathroom, kitchenette, thermostat, closet space, and more. 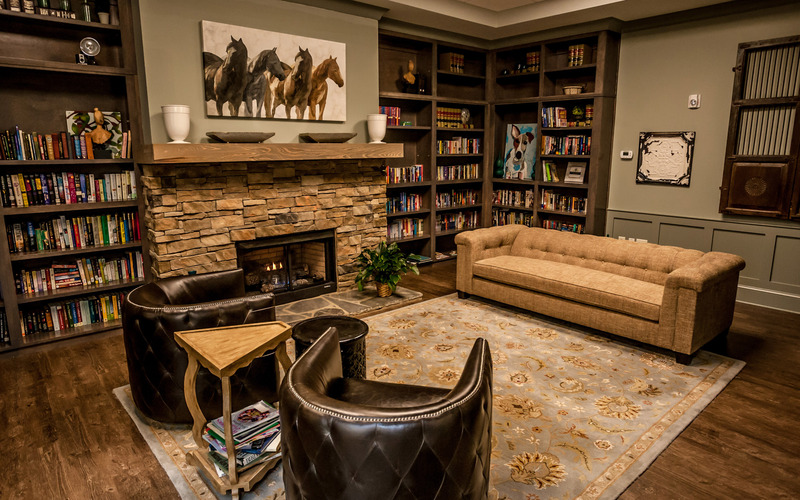 Some additional amenities are unique to the assisted living area – be sure to ask for more details. 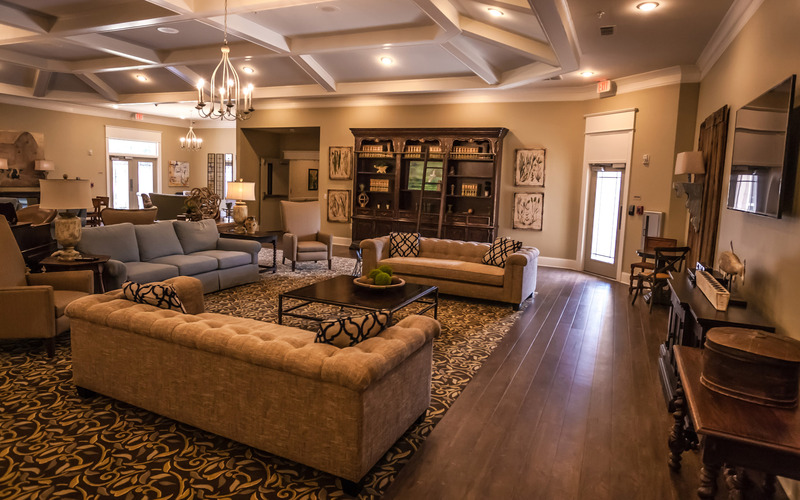 The memory care living area is designed to meet the special needs of seniors in all stages of Alzheimer’s disease or dementia. 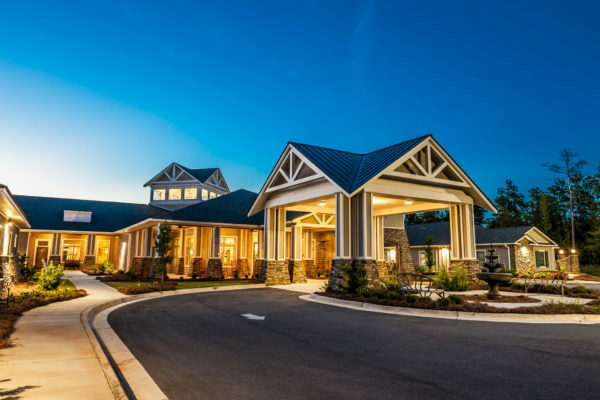 Some of the features include secured entry and exits, plenty of indoor and outdoor space for walking and exercise, daily activities, and a trained memory care staff 24-hours a day. 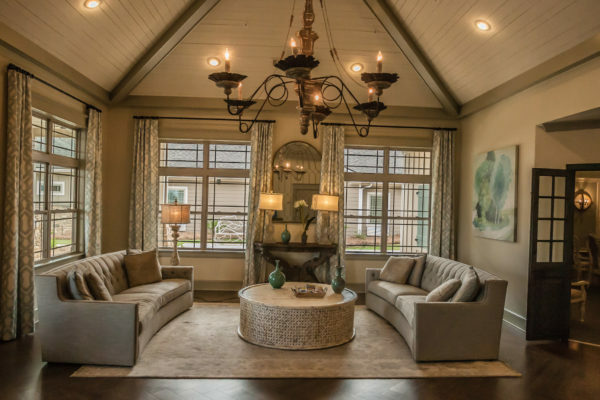 Private and semi-private residences are available. Question: How often can family and friends visit? 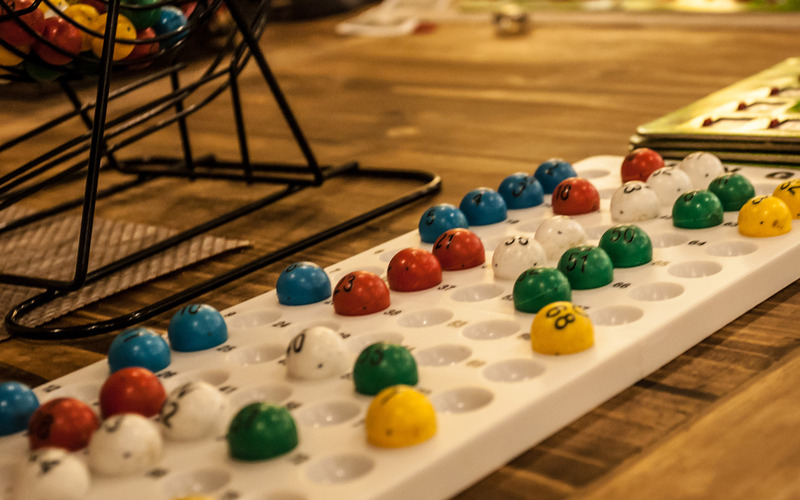 Answer: We encourage our residents’ family and friends (including children) to visit as often as they like. Q: Can residents come and go as they please? A: Yes. 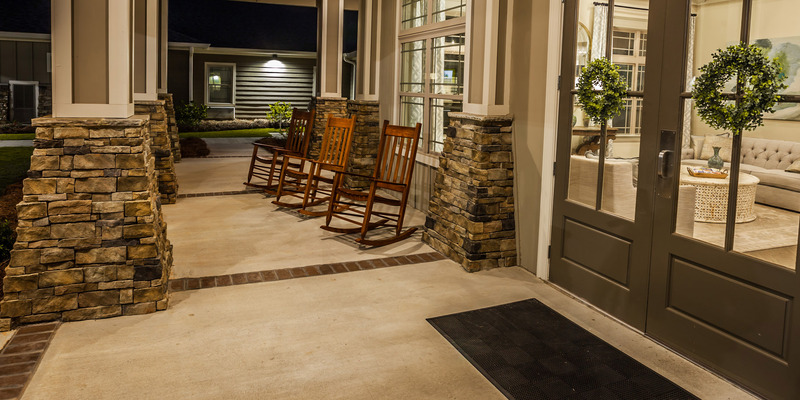 Residents have the same rights living at Fellowship Home as they do in their own home. We do ask that you sign out before leaving the property. Q: Are utilities included in my monthly charge? A: Yes. Electricity, water, sewage, and pest control are all included. Basic expanded cable and Internet access are available for a nominal monthly fee. A common telephone is available for private use 24-hours a day. A private line in the resident’s room can be activated at the resident’s expense. 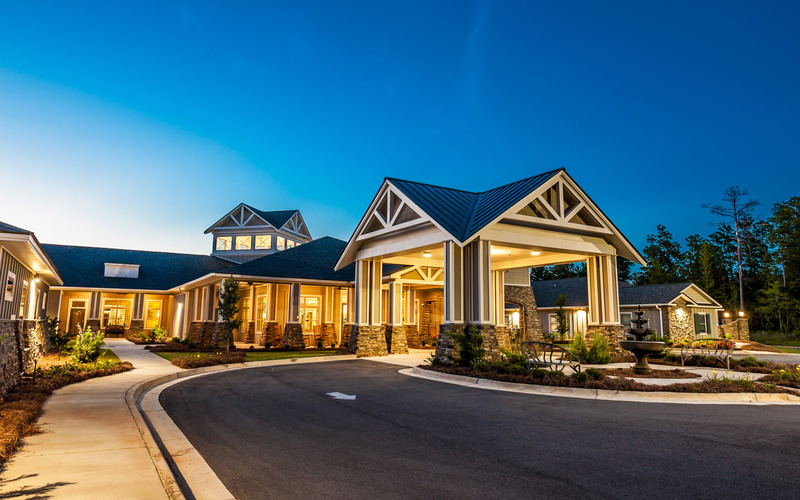 Q: Is living at Fellowship Home (or any senior living community) really cost effective? Q: My house is paid-off. 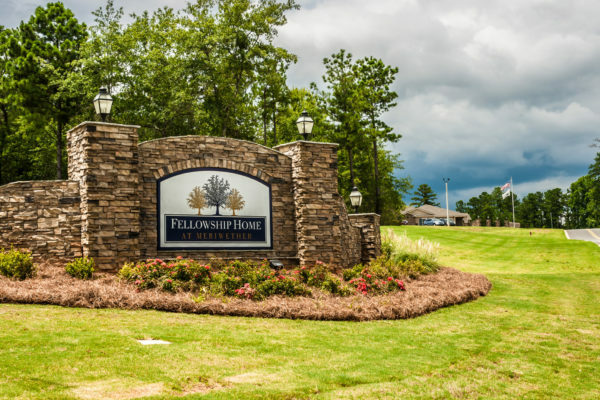 Why should I consider living at Fellowship Home? A: In addition to the answer above, here are three reasons: 1) you’ll avoid the personal hassle and repair costs associated with maintenance and upkeep of a home, 2) some people who live here decide to apply the value/equity from their home to cover many, many years worth of monthly charges and free themselves from the worry of covering the cost of Fellowship Home, and 3) when you consider the convenient, active, and safe lifestyle you’ll experience here, your quality of living increases immensely at Fellowship Home as compared to living alone. Q: How is the food? A: The food is both delicious and nutritious. Many of our residents list this as a favorite part of living here. Q: Do you offer short-term living arrangements? A: Yes. 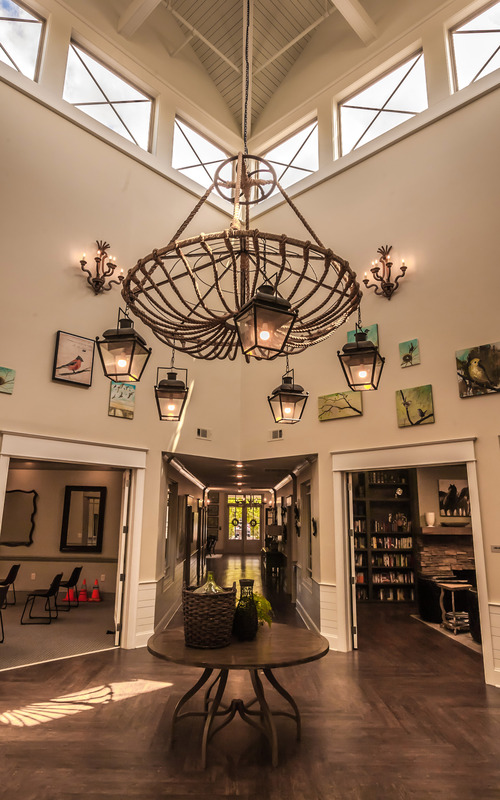 We offer short-term accommodations for individuals: 1) wanting to try it out for awhile, 2) needing respite care while getting your strength back from a recent surgery, or 3) needing care while your caregiver is away. For a stay less than 30 days, the special short-term rate will be applied. Q: Can I bring my own furniture and accessories? Answer: Of course. We encourage you to personalize your room to your liking. 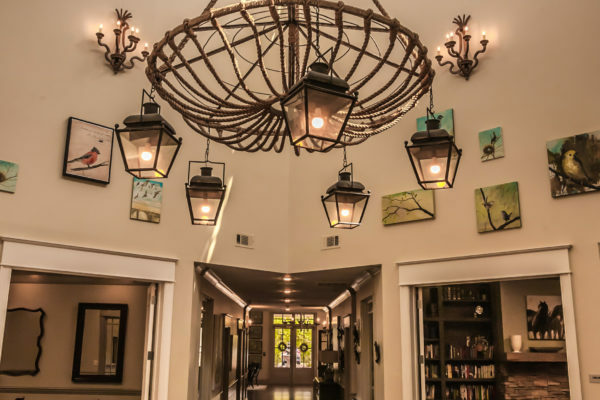 We can even help you hang pictures on the wall. You can also use our standard furnishings, if you prefer. © 2019 Fellowship Senior Living.